October 6-18 Saturday-Thursday Spirits-Reveal! 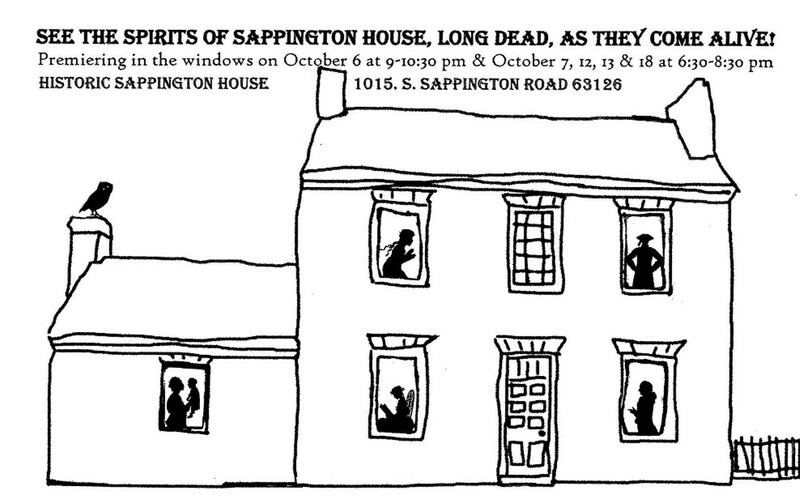 Free Glimpse the Spirits of Sappington House, long dead, as they come alive! Spirits will premier immediately following Javier Mendoza’s concert about 9-10:30 pm. Also you can see the Spirits in the Windows from outside on the front lawn on October 7, 12, 13 and 18 at 6:30-8:30 pm at Historic Sappington House. Special effects mini-films produced by Webster University students. Park free in the main lot at 1015 S. Sappington Road 63126. Then on October 19-20 Friday and Saturday 6:30-8:30 pm, see and listen to the Spirits of Sappington House inside during museum tours.